What to Watch is back in two-week form this time around, hitting the most important Blu-ray, DVD, and streaming offerings from both March 25th and April 1st. No April Fool’s Day jokes here. We’re above that. Sorta. What you will find is one of the best movies of last year, a fantastic comedy series, a foreign film you really should see, and further proof that John Cusack is merely slipping into straight-to-DVD oblivion like that damn horse in “The Neverending Story”. Pick one of the six. What the Hell, pick two. One of the best films of 2013 is here in a mildly disappointing Blu-ray given the rumors of four or even SIX hour cuts reportedly in the works for release someday. Consequently, this practically movie-only release has the feel of a placeholder, something to put on your shelf until an inevitable Special Edition. 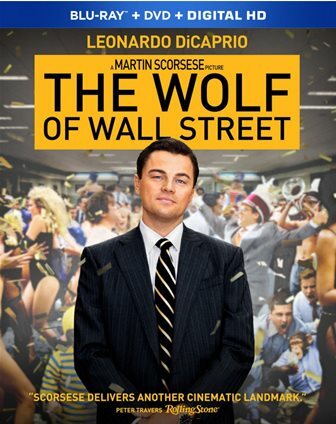 However, that doesn’t mean you shouldn’t take the chance to watch Marty and Leo’s masterful dramedy again at home because few recent films have held up as well on repeat viewing as this fantastic flick. And getting away from the backlash and controversy regarding the film allows one to appreciate its strengths more completely. It’s only been a few months but it already has the feel of a modern classic. Asghar Farhadi’s “A Separation” earned significantly more buzz than this 2013 follow-up. While I prefer the Oscar winner, the chasm in critical buzz was a bit too wide for reason. This is a solid film that touches on many of the same themes as his previous masterpiece, most notably the ripple effect of secrets betrayed and the impact of miscommunication and inaccurate readings of history and relationships. It’s a challenging work, carried by a great performance from Berenice Bejo (“The Artist”). Ahmad (Ali Mosaffa) returns to Paris to finalize his divorce so his wife Marie (Academy Award Nominee Berenice Bejo, 2011 Best Supporting Actress, The Artist) can marry her new boyfriend, Samir (Tahar Rahim). During his tense stay, Ahmad discovers the conflicting nature of Marie’s relationship with her daughter Lucie (Pauline Burlet). Ahmad’s efforts to improve this relationship soon unveil a secret from their past. The best sketch comedy show currently on TV? “Saturday Night Live” isn’t even in the conversation. “Inside Amy Schumer” and “Portlandia” are both funnier than the mediocre “SNL”. And yet there’s one that tops ‘em all, the most constantly clever and hysterical sketch comedy show on TV right now is Comedy Central’s “Key & Peele” and the company has brilliantly played off recent buzz from viral videos of their best sketches by releasing both of the first two seasons in an afforable box set. Own everything of “K&P” to date and get ready for season three this Fall. I have a feeling it’s going to be more popular than ever. The buzz is building. 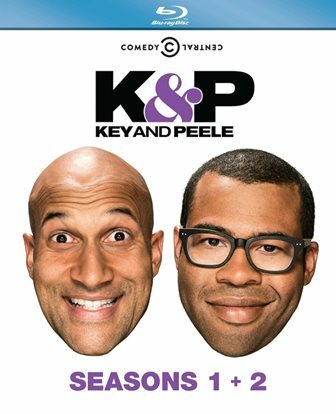 Critically Acclaimed Key & Peele: Seasons 1 & 2 give viewers no choice but to laugh again at their hilarious way of examining life in a provocative and irreverent way, through a combination of filmed sketches and live stage segments. From gangsters sharing a passion for Twilight, to Ice-T as a naughty puppy, or racist super heroes, Key & Peele showcases their chemistry, camaraderie and unique point of view, born from their shared background and experiences growing up biracial in a not quite post-racial world.